DiskGenius provides the function to check and correct errors on partition table. If partition table on the disk contains serious problem, DiskGenius will reports errors immediately after being launched. 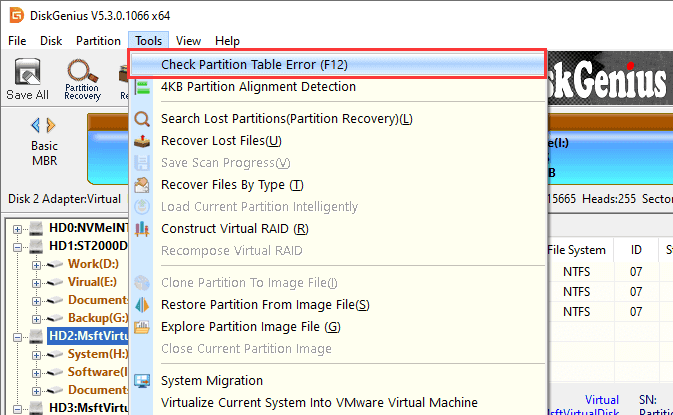 Select the disk for which you want to check partition table error, then click "Tools" and choose "Check Partition Table Error". 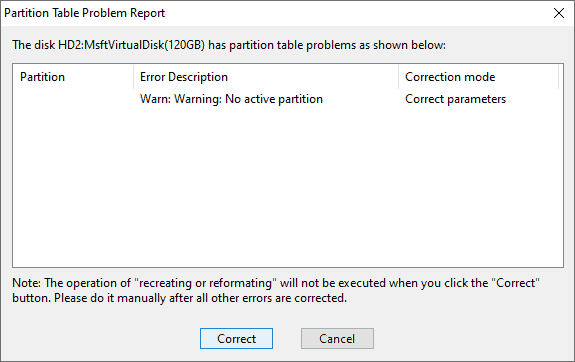 The "Partition Table Problem Report" window shows errors on the disk. Click "Correct" button and DiskGenius tries to fix the error. Click "Save All" button on toolbar and click "Yes" to make changes take effect.